Nagpur: A family of doctors has been directed by the Additional District Consumer Disputes Redressal Forum, Nagpur to pay up an amount of Rs 5.05 lakh on account of unfair trade practices and misleading patients through false advertisements for providing complete cure to diabetes. 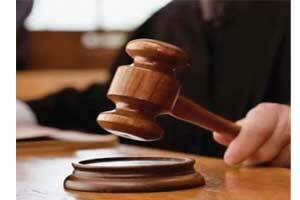 This includes Rs 4 lakh fine that has to be deposited with the Consumer Legal Aid Fund. The case primarily concerns a senior patient Manohar Khorgade, who came across an advertisement that claimed to provide a complete cure for diabetes without any use of medicine and insulin. It mentioned that Jay Kumar Dixit was a Mumbai based doctor who was the only doctor specializing in acupuncture for curing diabetes and was recognised by the Government of India.He visits Congress Nagar based clinic run by his son and daughter-in-law. The advertisement detailed about the acupuncture therapy that it is done by piercing only two needles above ears and is completely harmless. As per his plea, Khargode went to the city based clinic of these doctors in 2010. The complainant started receiving the treatment for next 23 months. He was charged Rs 2,000 per needle. He was asked to pay Rs 46,000 as treatment cost for which he was not provided any receipt. When no progress in the treatment was observed, the doctors provided free treatment for the next 41 months. Still, no improvement was noticed, the sugar level rose to an alarming level. The doctors then asked him to take allopathic medicines but his conditions kept deteriorating. He was eventually forced to move to the court to get justice. The court found that respondents were indulging into “unethical acts” as per Indian Medical Council (Professional conduct, etiquette and Ethics) Regulations, 2002, by publishing a misleading advertisement of curing diabetes through acupuncture, without any concrete medical evidence. The court also flayed the trio for not keeping medical records of the patients as per 2002 regulations, where it was made mandatory for medicos to keep all such records for at least three years, TOI reports. The court also pointed out that as per the Medical Ethics regulations, It is unethical to enter into a contract of “no cure no payment”. A bench comprising president Shekhar Muley and members — Avinash Prabhune and Dipti Bobde — observed that the Dr Jay Kumar Dixit, his son Dr Swarnim and daughter-in-law Punam adopted “unfair trade practices” by misleading hundreds of patients through false advertisements, promising a complete cure for diabetes without medicines or insulin. The judges pointed out that they were indulged in “unethical practices” of entering into a contract of “no cure no payment” with the patient where he was provided free treatment for 41 months. The doctors also came under attack of judges for trying to mislead judiciary over advertisement published in media claiming that their adversaries had floated them. The bench directed the doctors to publish a corrigendum about their misleading advertisements in the newspaper with a view to neutralizing its effect. “It should be published for three days in a row so that the gullible patients would be saved from falling into their trap in future.” The respondents are warned against continuing their unethical and unfair trade practices and asked to comply with forum’s directives within a month. The Additional District Consumer Disputes Redressal Forumfinally directed to pay Rs 4 lakh fine towards ‘Consumer Legal Aid Fund’ and Rs1 lakh to complainant towards financial losses and mental and physical harassment along with Rs 5,000 for litigation cost. Your term\’Doctors\” is misleading.Please mention their qualifications.